This is a well-made fighter with a great variety of game play and challenges available at your disposal. This game really steps up from the previous games with a new Tekken Force which is almost like a simple beat-em-up type game play which can be quite challenging, and alongside Tekken force is the always original Arcade, Time Attack, Vs., Training, Practice, Theater. A fairly wide range of characters are also available, not as many as Tekken Tag, but each character is well customized with a decent number of unlock able characters. The Graphics are incredible for a fighting game, with the ability to break items in the background of the fight with proper throws or punches, and with great animation in the movies that are unlock able. The sound is also very fitting for the game play, with each level having its own distinctive theme that fits. Okay, because of my rating don\'t assume I did not enjoy this game, I did greatly enjoy this game, but their are several moral issues I found in this game, the first being that there was no fair warning under the T rating of any sexual content, which it should have fairly warned of, not only do all the female characters in the game have skimpy outfits, but two of them flaunt their bodies in victory. And in their movies available of almost all the characters, a lot of skin is revealed by the women in this game. Number two, violence; violence in this game is not as bad as games such as Mortal Kombat, but it does have its fair share of violence, with bone cracking, ruthless fighting and more. And thirdly and lastly; language was not a major issue in this game, but in one of the unlock able movies the word a** is used. *POSSIBLE SPOILERS* There were some very positive acts of morality in this game although. Julia is losing her homeland and managed to find a cure for the forest, but at the cast would cause more harm to society, so she sacrifices her research to save those lives. And Jin when he comes to the point where he could kill his grandfather after all he had done, he sparred his life, and realized life has more to it than revenge. And King\'s whole mission was revenge on Marduck for killing his mentor Armor King, but in the end when he had his chance to kill Marduck, he decided not to when he saw it would not help him, and he would only cause more pain if he did so. 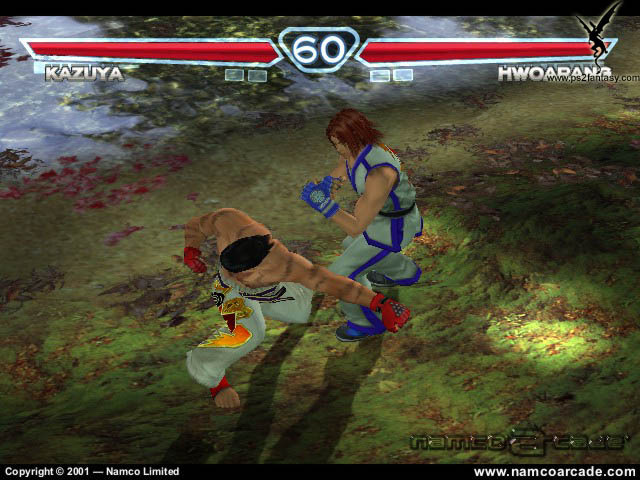 In Closing; Tekken 4 is a very well made fighting game, with many redeeming points and great game play with something everyone can enjoy and have fun with, although you must be very careful with this game when taking into consideration the violence, the sexual content, and the controversial issues that may approach you.